Located in a city with a strong background in the beer industry the Milwaukee Craft Beer Exchange is the only website and community in Milwaukee that is 100% dedicated to trading craft beer. The website utilizes an interactive trade board where users of the site can post potential trades, contact information and more. Users come to an agreement and then physically meet somewhere to make their trade. The website was created to connect Milwaukee craft beer lovers with each other in a social setting and allow users to share a story, share a beer and share a laugh. 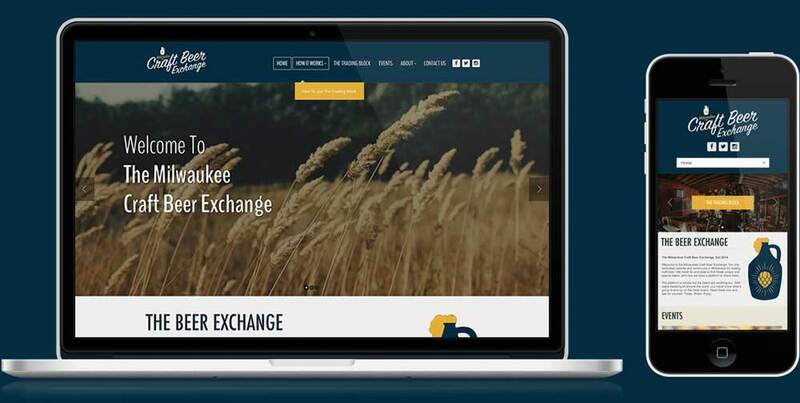 The Milwaukee Craft Beer Exchange site is fully responsive, fully SEO'ed and user friendly. Because the MCBE utilizes social media to connect with it's users, we integrated their Instagram feed directly into the site as well as their Mailchimp form so their users can stay up to date no matter which page their on. The Milwaukee Craft Beer Exchange was also in need of print collateral for events they throw, and we delivered. Simple and clean design posters were what they were looking for and they couldn't have been more happy with the results.